Amelia's passion for photography began at A-level, but she didn't feel ready to go out on her own as a professional without some further training. "I didn't feel that I was experienced enough to just go out there and look for a photography job. So I looked into various photography courses in London as I knew that was where I wanted to be," she said. I wanted to be in the heart of where everything was at creatively – and immerse myself around opportunities. Amelia enrolled on the BA (Hons) Photography at London South Bank University, a course with a strong focus on employability and excellent connections to industry, which would also allow her to develop her creative flair. "What was most valuable for me on the course was the work placement module, as it helped me gain experience in photography as a career and the many different avenues I could potentially explore after university. This module also helped me gain confidence in my photography work as well as a better understanding of what it's like to do photography work for a company or organisation, not just my own personal projects." Amelia undertook work experience at Oxford House, a community art centre, and Furtherafield Gallery, exploring issues around photography at the same time as developing her practical skills. 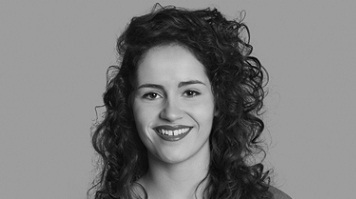 Amelia currently works as a full-time photographer for Foxton's Estate Agents. This involves photographing various interiors, properties, sketching up the floor plans, writing and creating the online brochures. She says she's really enjoying the freelancing essence of the job, as she's out and about shooting all day in a variety of settings, including some fantastic houses. "You never know what to expect with this job, you can be going to photograph your average house in London or photographing a £10million pound mansion, so the job keeps me constantly surprised and occupied." My degree gave me the confidence to talk about my photography which then gave me the determination to carry on developing and creating what I love. For many professional photographers, working for yourself is one of the perks of the job; however it's not always that easy. Amelia has worked hard to carve out a freelance career alongside her work with Foxton's, first approaching Caffeine Magazine, an independent magazine for coffee lovers. "I'm a huge lover of coffee and food so when Caffeine Magazine agreed to let me do some photography for them I was thrilled. I have worked in many projects with them from photographing bearded baristas, great independent cafes and speciality coffee roasters all around the UK - I am happy to say that I am still freelancing for them to this day and it's a pure loving joy for me." Amelia is freelancing for Houzz, a leading online platform for interior design and renovation too. "I photograph beautiful homes all around London to help visually inspire other home owners and designers," she said. "Alongside my full-time job I am also still keeping up my freelance work as for me it's vital to keep photographing what I love." Amelia is not a believer in having a career plan; one thing she knows for sure is that she wants to carry on creating and doing what she loves. See Amelia's photography on her blog or on her Houzz profile.